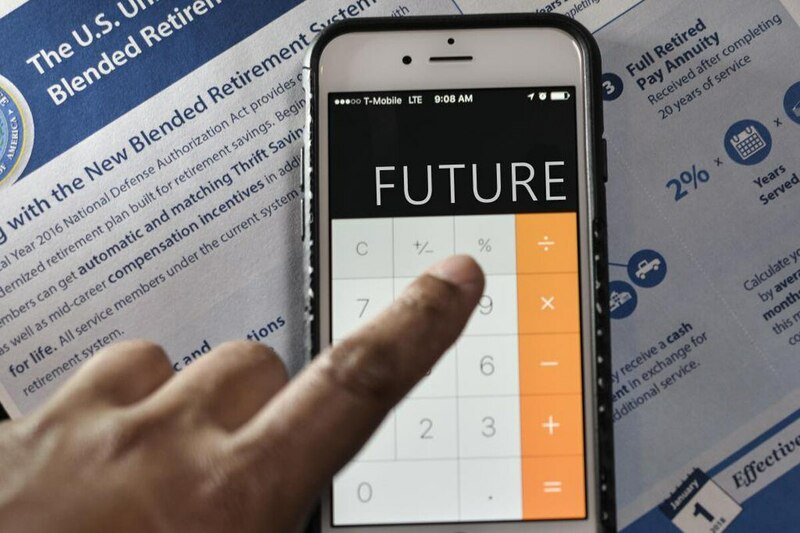 With the deadline a month away for certain service members to opt in to the new Blended Retirement System (BRS), Defense officials are making a push to remind service members they have a choice to make and they need to make it soon. About 19 percent of the 1.6 million people eligible have chosen the new system, according to Defense officials. While DoD has no target or goal for the number of people to enroll in the BRS, they want to make sure everyone is informed of the choice available — and that the deadline is Dec. 31, said Jeri Busch, DoD’s director of military compensation policy, during a Wednesday press call. Among other things, they’re sending notifications through the Defense Finance and Accounting Service’s Smartdocs email system to every service member who is eligible and hasn’t made an opt-in decision; and they’re including reminders on Leave and Earnings statements, she said. About 1.6 million active-duty and reserve troops are eligible to opt into the new retirement system, which promises a smaller pension check for those who complete a 20-year career but offers cash payments into a personal retirement account that service members can keep regardless of how long they stay in the military, as well as other benefits such as continuation pay at 12 years. Traditionally, only about 20 percent of service members stay long enough for the traditional retirement. All troops entering the military starting in 2018 are automatically enrolled into the new Blended Retirement System. But those with fewer than 12 years of service as of the end of 2017 can make the choice in 2018 to either stay with the legacy system or switch to the new BRS. They must actively choose and opt in to BRS either in MyPay (Army, Air Force and Navy) or Marine Online. "For some, this can be a difficult decision, that requires weighing both options, and considering personal and professional goals,” said Busch. “We’re certain there are individuals out there who may not have made their decision yet ... or as we all tend to do, may just be procrastinating,” she said. For those, there are a number of credible resources and tools that are available for free, she said, to include certified, qualified personal financial managers on installations or available through Military OneSource. Officials said 307,213 service members had made the decision to opt in as of Nov. 26, including 243,715 active duty and 53,498 Guard and Reserve members. DoD’s position is still that there is no target or goal for the number of service people to opt in to the new BRS. Instead, their goal is to make sure troops have the resources to help this highly personal decision, Busch said. The Dec. 31 deadline is set in law, and DoD doesn’t have the authority to extend that deadline. Officials are also prepared to handle any last-minute surge in the online enrollment systems that could happen, Busch said. The DoD MyPay system, for Army, Navy and Air Force, as well as the separate Marine Corps system, MarineOnline, have been fully tested, including stress-tested, she said. The Marine Corps is the only service that requires its members to register their decisions regardless of whether they opt in to the BRS or stay with the legacy system. Of those eligible, nearly 37 percent of Marines had opted in to the BRS as of Sept. 30, a higher percentage than the other services. And more than half of the eligible Marine Corps members had made their decision as of Sept. 30. But officials don’t attribute the Marine Corps participation rate to the requirement to register their decision, regardless of the choice, Busch said. “We think it’s more the fact that the Marine Corps, as is their culture [is] very much engaged from a leadership perspective, all the way down to the squad level, to make sure their members are aware of all the information about BRS, and are taking action,” she said. Consequently, DoD will continue to engage with the leadership within all the service branches as the deadline approaches, she said. Installation Personal Financial Managers: These trained professionals can provide free financial counseling to service members and their families, and have received training on the BRS. Ask the family center or finance office where the personal financial managers are located, and make an appointment. Contact information is also available on MilitaryOneSource. (Scroll down to the installation program directory. MilitaryOneSource: Provides free financial support 24/7, which is especially helpful for Reserve and National Guard members and those stationed in remote areas. Call 1-800-342-9647.